Q: Should we think about hiring a driver to go wine tasting or exploring in Tuscany? Or what is wine tasting in Tuscany like and do you really need a driver? some points to consider to help you answer the question. 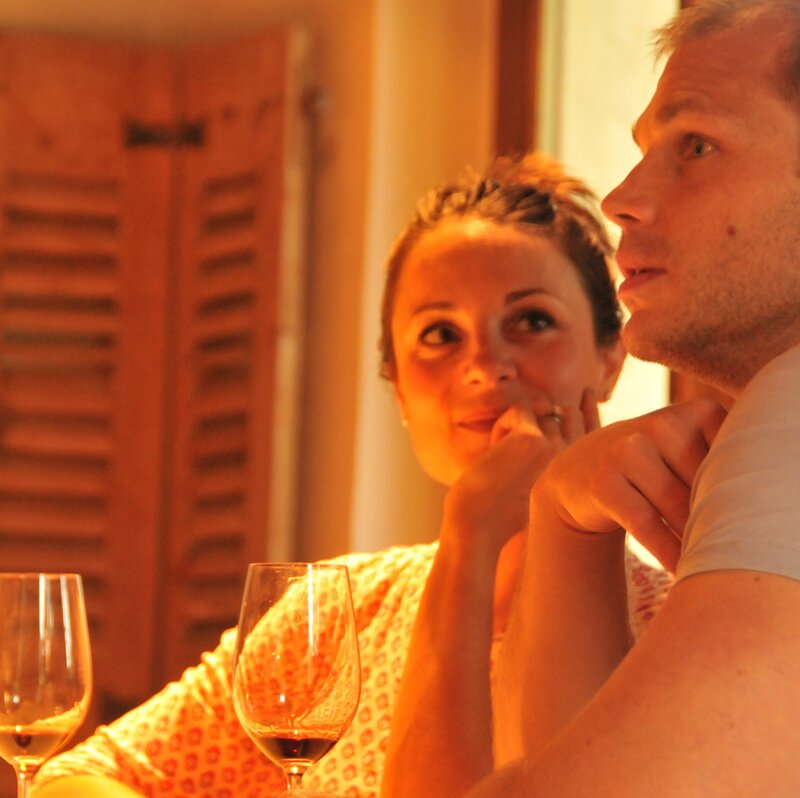 Words by Amanda of Siena House, wine-focussed accommodation in Tuscany. We are wine lovers and adore exploring the countryside hunting down great wines at boutique wineries. We also run an old sports car and we love driving the beautiful routes – a major reason we’re here. Every Summer guests contact us during their planning stage, asking about hiring a driver – how much it costs – if we think they need to do it, and if so can we can help them with booking. Usually the question about hiring a driver will be focussed around wine touring / tasting excursions and vineyard visits rather about than simply travelling and I expect this is because most people realise that for exploring they will have a better experience hiring a car than not. With relation to wineries the question around private driver costs is asked around trying to find a cheaper and more comfortable alternative to booking an actual wine tour I imagine – the enquirer intends to do the wineries and drink the wine – as opposed to a true ‘sip and spit’ tasting – and does not want to be a driver, therefore. 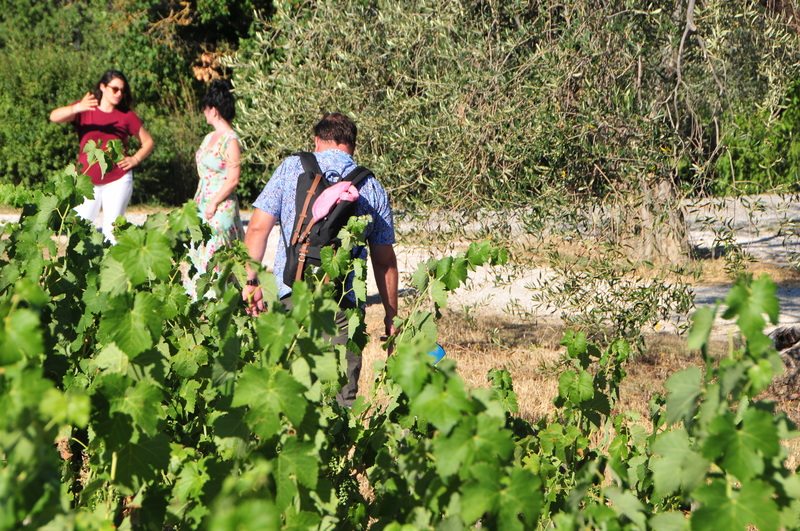 Good company, good wine and a great learning experience at Podere Le Ripi biodynamic winery. Tuscany is nothing like Napa Valley! The first thing that needs to be explained is how wine tasting in Tuscany can be – at its best. There are not so many very large or very commercial or very ‘well organised’ wineries in Tuscany with heavy traffic of tasters passing through every day. It’s not always easy to get an appointment in a smaller winery, but once you are there the visit may well be just the two of you or a small group of up to 10 people. You will learn so much and really get to know the wine. Take Croce di Febo, Montepulciano, a biodynamic boutique winery where the tour and tasting is usually guided by the owner & winemaker himself. Our guests tell us they love Maurizio’s passion and authenticity as much as the wine; and that they leave feeling they have really got to know the wine. Personally we always go self drive sip-and-spit, as well call it, keeping the palate clean, tasting seriously and driving legally, however we have driven our guests to wineries so that they can relax and enjoy the wine and whole experience of being taken care of. we offer Driven & Guided Private Wine Tours by Range Rover Vogue at our place (40 Euro per hour for the driving) but in this post I am going to talk about the pros and cons of hiring a driver in general – and pricing. We’ve had problems getting drivers for our guests historically – unless they are larger groups looking for whole days out. We’ve noticed that local drivers don’t always quote promptly and sometimes don’t reply at all; they seem reluctant to commit to a shorter hire (a few hours) with a long lead time (many months ahead). I guess that’s because they feel they will miss a ‘better’ booking for more people and more hours that might come in later. Thus whilst we’ve advance booked a group of 5 for full day’s hire with no problem we have had difficulty even getting quotes for shorter periods and only 2 guests. So, it appears that our local drivers are not so willing to do less than half a day’s hire. That means 1-3 wineries if they’re all in the same zone. How many wineries you really can taste properly at is another question entirely… we consider 3 in one day might well be too much, especially if you are actually drinking the wine. 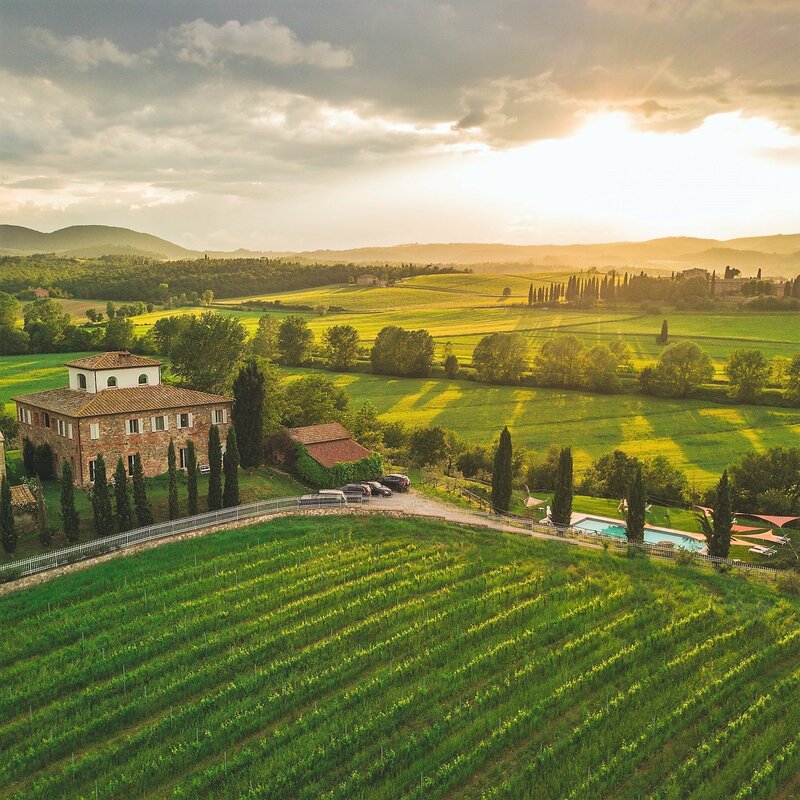 At Siena House we are fortunate to be within very easy reach (20-50 minutes drive) of Vino Nobile di Montepulciano, Chianti Classico and Brunello di Montalcino. The lesser know Orcia wine zone begins under 10 minutes from here and the the Syrah of Cortona zone begins at about 20 minutes away. From here we see guests taste in a different zone each day over a 3 night stay. Q: Isn’t hiring a driver the best way to see the famous landscapes of Tuscany, don’t they know the best roads? A: Let us guide you, we’ve been here a long time…we can help you pick routes – and combine wineries. 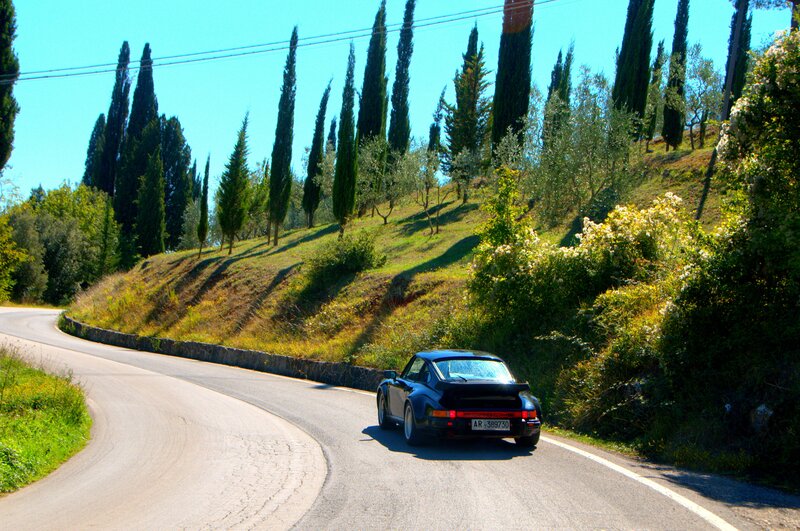 Driving in Tuscany is an absolute pleasure and an essential part of the Tuscany experience. These are Winter landscapes (below) in this post, it’s dramatic scenery in Tuscany year round – even for us after more than 10 years living here. You can imagine that we caveat journey timings with if you don’t stop – which is very difficult round these parts. Self driving whether wine tasting or hill town touring means travelling at your own pace. 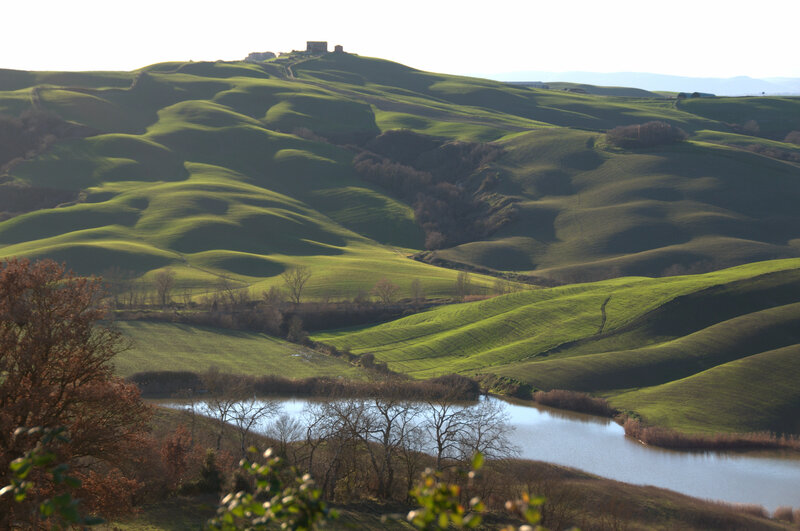 The Crete Senesi hills, Recommended scenic enroute stop for Chianti Classico vineyards. Q: What about the actual knowledge? A: The winery staff will be able to tell you all that there is to know about their wines, usually in English, and it’s all included in the tasting fee. Most or at least many chauffeur drivers are going to do some kind of wine tour; they tend to have their own preferred vineyards that they will take you to and this does not mean that these are not good visits. A rough ‘flat rate’ for drivers in this area tends to be 45/+ Euro per hour (updated for 2018). Bear in mind that you’re likely going to travel through some breathtaking landscapes. It’s wise to err on the side of caution in time terms (don’t plan in too much) if you are hiring a driver for winery tasting trips. But also bear in mind that if you opt to self drive you can meander, wander, explore … take as long as you like ! We do a lot of wine tasting during the winter, the journeys are marvellous and the roads are quiet. Typically guests are over ambitious about how much they can cram in to one day. We say relax! you’re in Tuscany! If you don’t fit all of your visits comfortably into one day – carry on tomorrow. 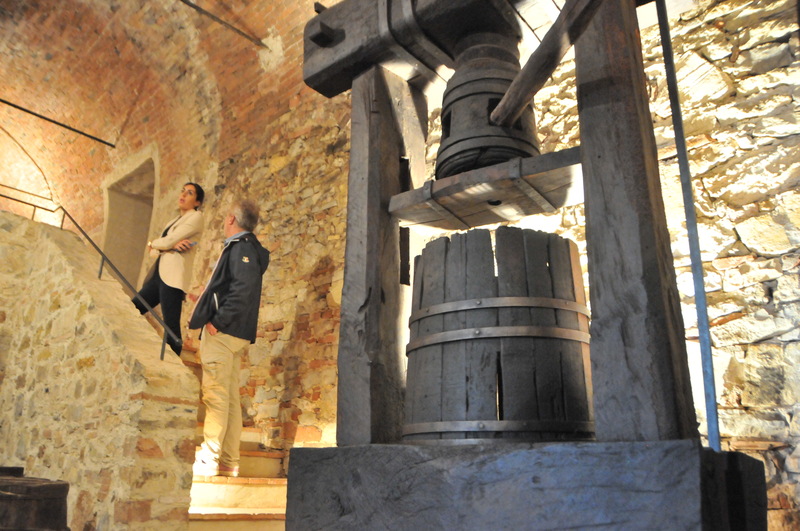 We advise seeking out 2 wineries per day maximum, particularly as with boutique wineries the experience is usually a small or private tour, full introduction to the wineries methods and ethos and full exploration of the property. We recommend taking the whole experience not skipping anything as you will learn so much and appreciate the wine all the more. A no-rush approach enables you to take in the best balance of winery visit, cellar tour & tasting, journey & landscapes, photo stops & lunch…and enjoy your time. And another thing: If you go by yourselves you’re not going to have some guy in tow! Wine tasting in Tuscany can be so romantic! Personally I can’t think of a better way to see Tuscany than to spend a day searching from winery to winery for that perfect wine. We call it ‘self drive sip and spit wine tasting’. Taste like a pro: take the tasting seriously and take the experience to another level. Shop don’t drink, at least until you get back home to Siena House! 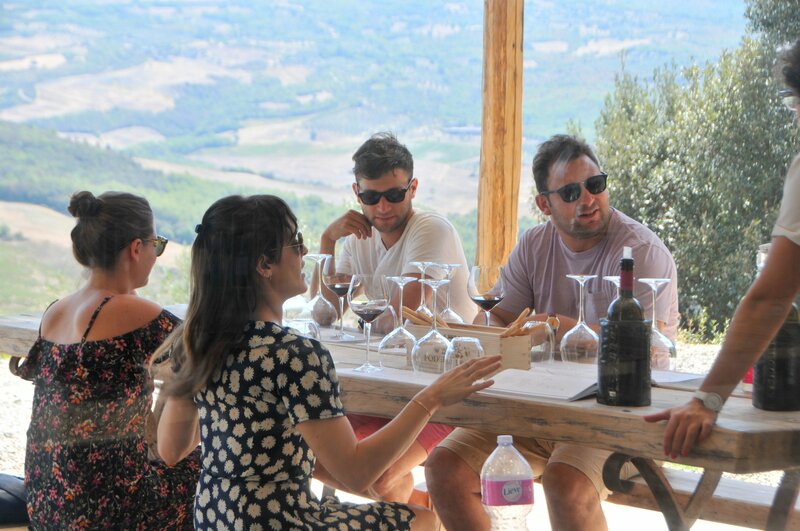 Visiting Tuscan vineyards in the summer: Podere Le Ripi biodynamic in Montalcino. We love taking care of our guests and arming you will all the local knowledge you need that your day out is the best that it can possibly be. We will help you plan your wine discovery over breakfast, and be available (usually on WhatsApp) to enquire for you at wineries ahead of your arrival, book alternatives, plan stops – or to help you figure out where to deviate to if you’re really winging it and need a change of plan. Spontaneity is Romantic. Discovery is memorable. Buy something special to ship home and enjoy over dinner together in the years to come. Most of our guests decide to rent a car and visit one or two wineries per day in conjunction with exploring the landscapes and hill towns and this is very much because of our brilliant location. Combining a great vineyard visit with a hill town and a scenic journey makes a wonderful day in Tuscany. However if you’re still certain you’d prefer to take a private, driven wine tour or hire a driver – we can provide these services for our guests in residence at Siena House. Currently we have a special offer on private wine tours when booked HERE with your stay. i need information how much the coast city tour Siena for 7 Hour , for 2 Person ? Hello, I am very sorry but we are only writing about hiring drivers, we are not a driver service. Please send me info on your b&b. There will be four adults traveling to your area for 2-3 nights in May 2019.